Cross country skiing in Central Park, the Rockefeller Center Christmas tree, carnival in Bryant Park and a model train show. 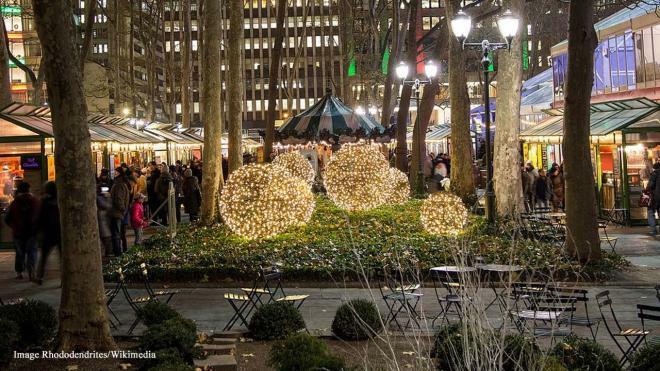 New York City is a great place to be all year round, but especially so at Christmas. Visiting the Christmas tree in Rockefeller Center, skiing and snowboarding in Central Park or enjoying the Winter Festival in Bryant Park, so there so much to do. 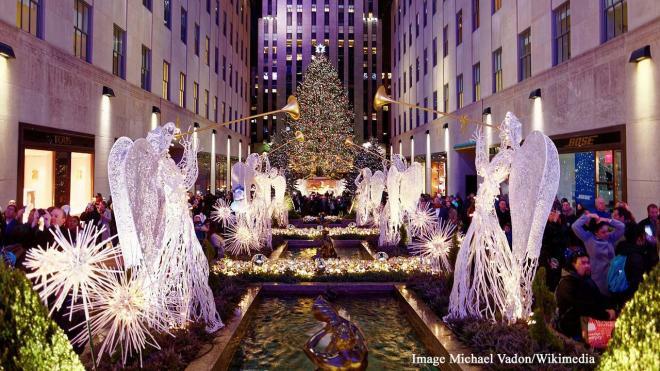 Take a brief tour of New York City at Christmas time below. The large Christmas tree stands in the Rockefeller Center from 28 November to 7 January 2019. The tree is normally a Norway spruce from 69 to 100 feet in height. There is a lighting ceremony which is broadcast live nationwide. The tree pictured here is from Christmas 2016. Winter Carnival in Bryant Park is held over a period of nine days. There are many outdoor events and attractions to be enjoyed. Among them is an Ice Ball, a Silent Disco and free skating and furling lessons. Enjoy a good beer in an outside Winter Brew House and warm up in the cosy warming lodge.